It's the season of change and transformation! With October comes rich colors and healthy, hearty comfort foods such as apples, pumpkins, squash and sweet potatoes. With these abundant foods available, we have filled this newsletter to the brim with healthier fall recipes the entire family will enjoy. You will also find gift giving ideas for a very important cause, my new favorite book that can make you 10% happier and healthier Halloween treats. Typically, fall is one of my busiest seasons at Shuman Weight Loss. Why? Because post summer indulgences people are ready to get healthier and make a change. Whether it is weight loss, boosting energy or getting stronger, there are plenty of options below on how to look and feel your best naturally. Did you miss the last Cityline? Click here to watch Dr. Joey make sweet potato pasta and to test out your nutritional IQ! A huge congratulations to our Shulman Weight Loss client Kim who has lost 30 pounds and is feeling and looking great! 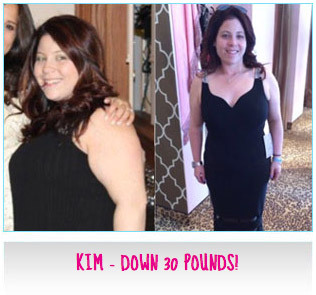 Kim has totally transformed her health and is more energetic and vibrant than ever. If you would like to book a free weight loss assessment ? do it this month as we are offering 10% off our programs (over $100 in savings!). Simply visit one of 1 of our 3 clinics below. To book in for your free weight loss assessment, please visit one of our clinics below. Halloween is just around the corner and getting healthy treats for kids to enjoy is always a challenge. 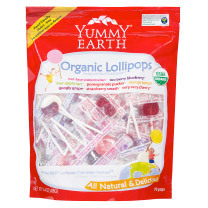 For trick or treating, why not try Yummy Earth natural fruit lollipops? Made with real fruit extracts and free from all artificial colors and flavors your kids will have no idea they are eating a healthier candy option. Found at most health food stores and at a great price, these tasty goodies are available in a variety of flavors your kids will absolutely love. Harvest time brings us so many beautiful vegetables and so many options on how to make them into healthy dishes. 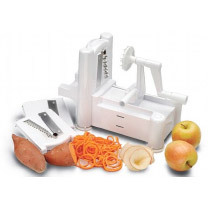 The vegetable spiralizer by Paderno is the perfect way to make quick and easy vegetables noodles with zucchini, sweet potato, and carrots. Eaten raw or cooked, these noodle are easy to prepare and clean up. Add in your favourite pasta sauce or chili for a grain free dinner and enjoy! A good quality olive oil is a staple in every home. 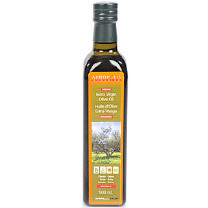 Acropolis olive oil is certified organic, traceable, extra virgin (made from the first pressing of the grape), and of course delicious. Do not be shy to use olive oil in your dishes while cooking on moderate heat. I always tell my clients healthy fat does not make you fat! In fact, healthy fats such as olive oil are good for weight loss, are heart healthy and can reduce inflammation. 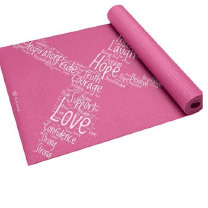 October is breast cancer awareness month and this yoga mat is the perfect way to support the cause. This mat is lightweight and durable and is designed with a textured non-slip surface for ideal traction and free of the use of phthalates. For every mat sold, $1 goes to support breast cancer research. 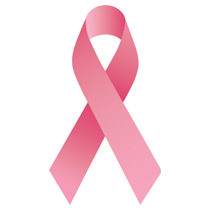 October is national breast cancer awareness month, which is an annual campaign to increase awareness of the disease. There are about 1.38 million new cases of breast cancer each year, both in developed and developing countries. There are several products available where part of the proceeds will go towards supporting cancer research and helping to teach women about early detection. You can learn more on how to get involved by clicking here. Line a large baking sheet with parchment paper and brush with olive oil. Cut onions and chop tomatoes and spread on baking sheet with cherry tomatoes that are sliced in half. Season with sea salt, pepper, and oregano and roast for 25-30 minutes, or until tomatoes are blistered. Bring sauce to a boil and then reduce to a simmer and cover, allowing it to cook for about 20 minutes. Add water as needed to thin is desired. While vegetables are roasting prepare zucchini noodles with spiralizer or vegetable peeler by removing skin and chopping off the ends. Add spinach and a splash of water to a nonstick pan and heat on medium high until the spinach leaves are wilted. Drain excess water, place in a bowl, and set aside. Using the same pan, lightly cook the zucchini noodles by adding to pan and sautéing for about 2-3 minutes, until noodles have softened slightly. Put all ingredients into bowl, add pine nuts and sprinkle with parmesan cheese if desired. Enjoy! Heat oil in a large soup pot over medium-high heat. Add the carrots, onion and zucchini and cook, stirring occasionally, until they begin to soften, about 6 minutes. Add the garlic and cook for about a minute more. Add the squash, allspice, cayenne, and salt and stir to combine. Pour in chicken or vegetable broth, tomatoes with their juice, and thyme. Bring to a boil, reduce the heat to medium, cover, and simmer for 10 minutes. Add the kale and the chickpeas and cook uncovered until the squash is tender and the kale has wilted approximately 10 minutes. Discard the thyme springs before serving. Season to taste with salt and cayenne if desired. In a small saucepan, cook the ground turkey or chicken until it breaks apart easily. Add turkey, onion, peppers, garlic, diced tomatoes, pumpkin puree, kidney beans, chickpeas, vegetable broth, chili powder, cumin and salt and pepper into crockpot. Mix everything together and cook on high for 3-4 hours or low for 5-6 hours. Nutritional Analysis: calories 250, fat 11g, carbohydrates 19g, fiber 6g, protein 20g. I have literally not been able to stop talking about this book since I have read it. If you have ever eaten while not hungry, checked your email compulsively or worried excessively about past or future events - this book is for you! After broadcaster Dan Harris experienced a public panic attack on Good Morning America, he decided there must be another way to calm the voice in his head. After investigating and interviewing swamis, mediation leaders such as Deepak Chopra and self help experts Harris stumbles upon the art of mediation to increase his happiness and focus on the now. While mediation is something he always assumed was impossible or useless he is proven wrong. Harris takes a deep dive into the underreported world of CEOs, scientists, and even marines who are now using mediation for increased calm, focus, and happiness. 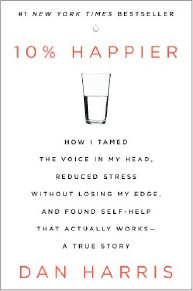 10% Happier takes readers on a ride from the outer reaches of neuroscience to the inner sanctum of network news to the bizarre fringes of America's spiritual scene, and leaves them with a takeaway that could actually change their lives.